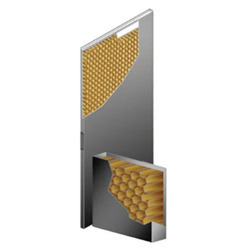 Providing you the best range of honeycomb doors with effective & timely delivery. Continuously welded vertical - edges (seamless) standard 1 Honeycomb cells permanently bonded to both face sheets. Impact resistance - 45 PSI crushing strength of Honeycomb Doors. Looking for Honeycomb Doors ?